Love or loathe him, Rowan Atkinson’s accident-prone Mr. Bean remains a global superstar. 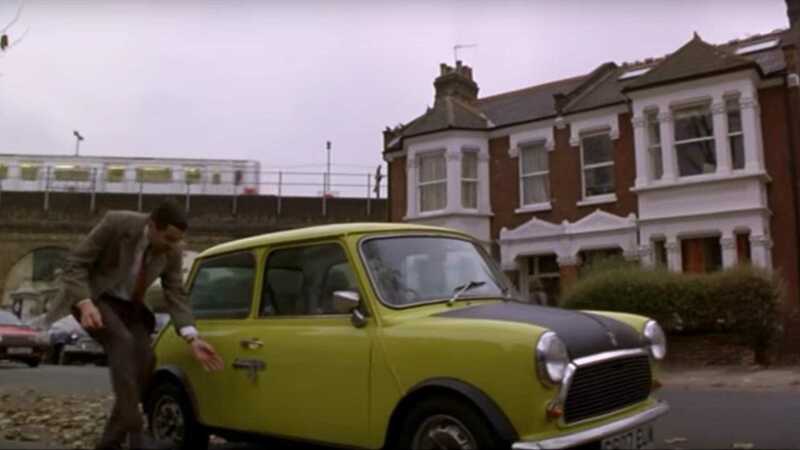 The subject of 15 live-action sitcom episodes, an animated spin-off and two feature-length movies, the broadcast rights have been sold in 245 territories worldwide, making Atkinson and his vehicular co-star – a 1977 citron-green British Leyland Mini 1000 Mark IV – instantly recognisable. Sporting a matte-black bonnet and subjected to no end of abuse, Bean’s Mini was central to various antics and often stole the show ­– from its encounters with the unseen driver of a light-blue 1972 Reliant Regal to the famous skit where an armchair is strapped to the roof. 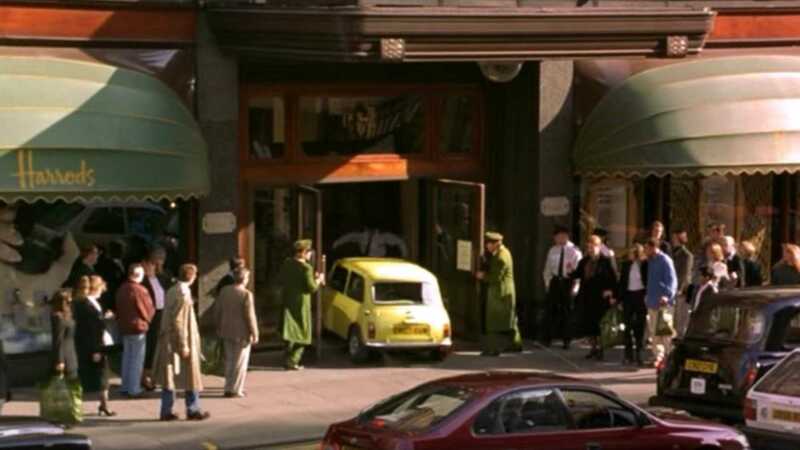 Three Minis were painted and modified for use in the series, alongside two further vehicles wearing the same colour scheme for stunt work during the notorious Tank scene; a sequence that continues to haunt car enthusiasts to this day. 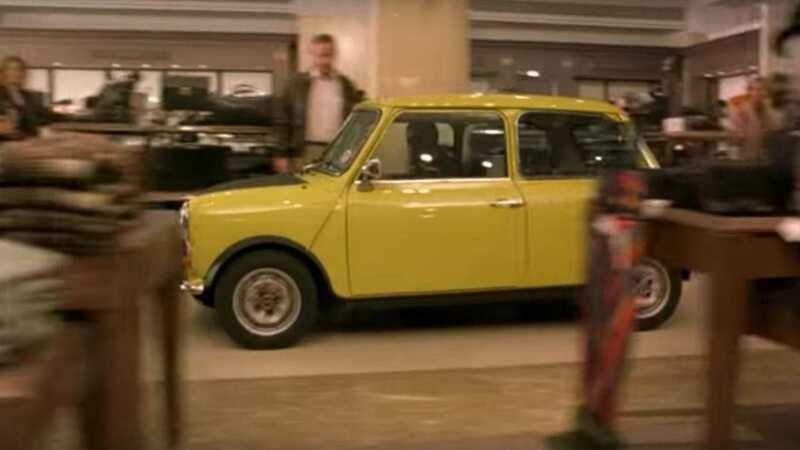 However, for those who lapped up the humble Mini’s presence throughout ITV’s sitcom, crushing disappointment doused the fanbase upon the release of Bean’s first motion picture. Hitting packed cinema houses on Saturday, August 2, 1997 – Bean didn’t feature the iconic vehicle. No screen time was given to the Mini. At all. ‘The beginning of the movie was a lot longer. It was a lot more drawn out and it was the classic problem really, I suppose, in a movie of this type, which is about a man going to another country’ Atkinson explained during an interview back in 1997. ‘The audience, and indeed we [Director Mel Smith], felt like we needed to get him [Bean] into the country quite quickly’. ‘In the original cut it took about half an hour from the beginning of the film to stepping off the plane,’ Smith later explained. ‘In the film as it stands now, it’s about ten minutes. And that’s much more like it’. 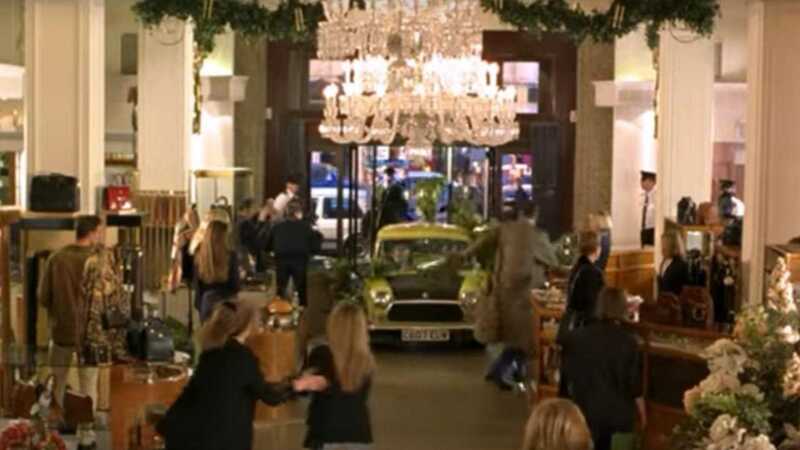 Basically, the footage of Bean’s commute to work ended up on the cutting room floor, including a scene where he ends up jammed in gridlock traffic outside Harrods; London’s premier department store, owned by the state of Qatar. ‘It was a hell of a sequence to shoot considering we cut the thing out,’ Smith explained. Frankly, the concept that this scene was removed remains scandalous. 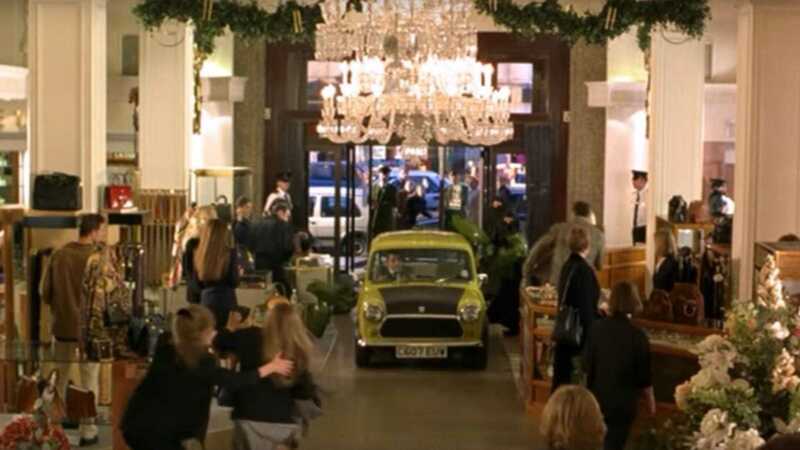 What we have here is Mr. Bean meets The Italian Job, as he races through the historic building amid perfume stalls and crowds of shoppers. The deleted mayhem doesn’t end there. After ploughing through Harrods, Bean then tanks across town to park outside the Royal National Gallery’s front steps. 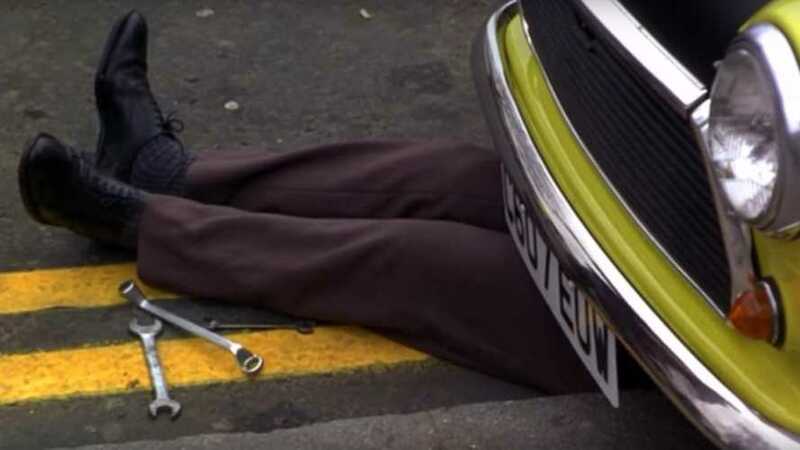 Now late for work, and reluctant to pay for on-street parking, Bean instead ramps the Mini up onto the pavement before extracting a pair of fake legs from within the cabin. Placing the legs under the Mini’s front end and scattering an array of spanners alongside, he then proceeds up the steps and into work. 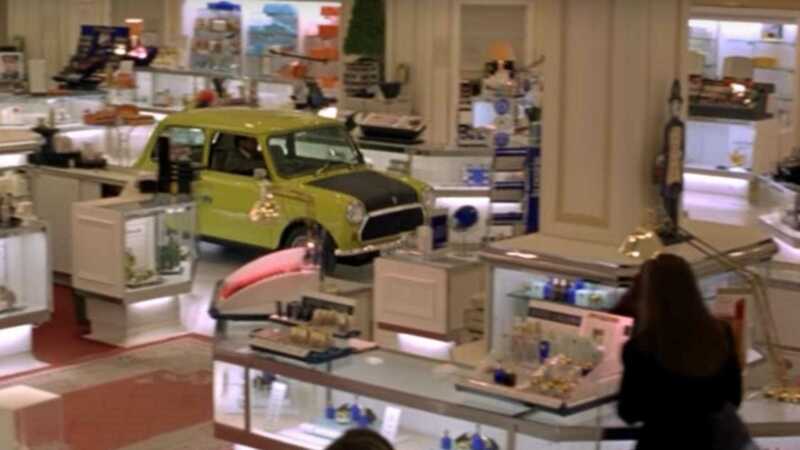 It was to be the Mr Bean Mini’s first big-screen appearance, yet it sadly wasn’t to be.